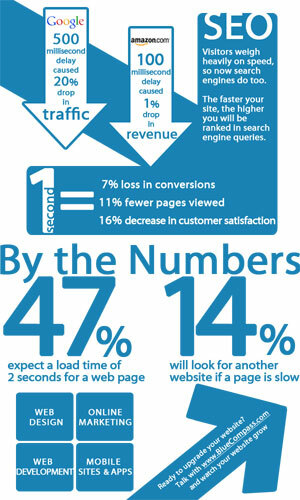 5 surefire tips to turbo-charge your page load times! During the recent SEO Fundamentals Course you were pushing us to increase our page load times since Google has been using site speed as a ranking metric for awhile now. We read your recent byte on measuring site speed but can you provide some more information on how to INCREASE our site speed? Answer: Glad you enjoyed the SEO Fundamentals Course. As you pointed out, we recently published an article on site speed that provided a lot of tool recommendations for site owners to currently measure and optimize their current site load times. Google loves faster loading pages! How does your site measure up? In that article we went into detail on both when and why Google was using site speed as an algorithmic ranking factor AND what free tools you could use to measure your own site speed. We then concluded the article with the recommendation that for best results your site pages should load fully within three seconds. This hasn't changed and is still our sound recommendation.